Berlin, Germany-based alternative-pop chanteuse Femme Schmidt was originally discovered by Guy Chambers (Kylie Minogue, Robbie Williams, Tina Turner) when she was 21 years old. Impressed by her talent, he gave Femme Schmidt her debut in London at his "Orgasmatron" 21st century cabaret. Schmidt worked hard and performed all around the London music scene, often jamming with musicians at Ronnie Scott's legendary jazz club. In 2011 her music made it to Sat Bisla, Founder/President, A&R Worldwide, who secured a showcase for Femme Schmidt in Los Angeles (her first North American performance). After the live performance, A&R Worldwide presented Schmidt to Mamie Coleman, VP of Music & Production, Fox On-Air Promo and her colleagues during a meeting at Fox Studios. The track "Boom Boom" was used by Fox TV in the U.S. for its primetime Tuesday night lineup for its new fall 2012 television shows - the first time in possibly decades that a German newcomer had their music licensed by a major U.S. network to be included on a primetime national TV promo. 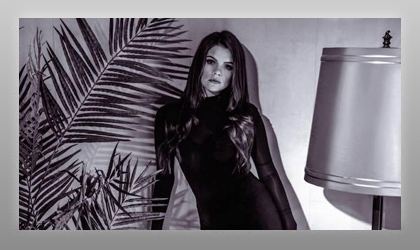 Bisla also presented Femme Schmidt to music supervisor Chris Mollere, who used Femme Schmidt's track "Remote Control" on an episode of the national U.S. ABC network's popular hit TV show "Pretty Little Liars." Femme Schmidt is the first German-based newcomer to generate such strong global interest in such a short time period in quite a while. Her worldwide manager Deville Schober states, "We are amazed by the incredible support of the whole A&R Worldwide team. They've helped take Femme Schmidt's career to a global stage in a very short time period. A&R Worldwide have secured Femme Schmidt with opportunities that very few artists from Germany get. They have secured two major syncs, a ton of broadcast media/online support, songwriting opportunities and introduced her talent to Michael Chugg, CEO and Matthew Lazarus-Hall, COO of Chugg Entertainment, which has led to Femme Schmidt being confirmed for the Sir Elton John arena tour in Australia this fall, as well as a major label release Down Under. Working with A&R Worldwide has been a very wise choice for us."